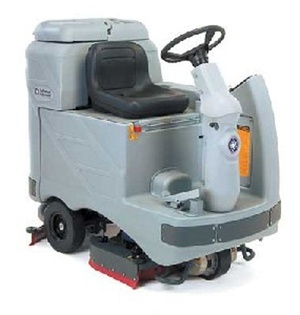 The Adgressor® is a reliable, productive industrial rider scrubber that is easy to use and maintain. Combining large scrub decks and solution capacities with maneuverability and speed, the Adgressor delivers high productivity. A steel chassis and metal bumpers stand up to tough operating environments while thick rotomolded polyethylene tanks will not dent, crack, or corrode. The Adgressor with optional EcoFlex System delivers the flexibility to clean your floors more efficiently. You’ll reduce your cost to clean and create a more sustainable cleaning program.